VOTED FAVORITE SKIN CARE LINE THREE YEARS IN A ROW by skin care professionals and #1 for skin care results in the natural & organic spa industry & Winner of the Best of the Best Consumer Choice Award. 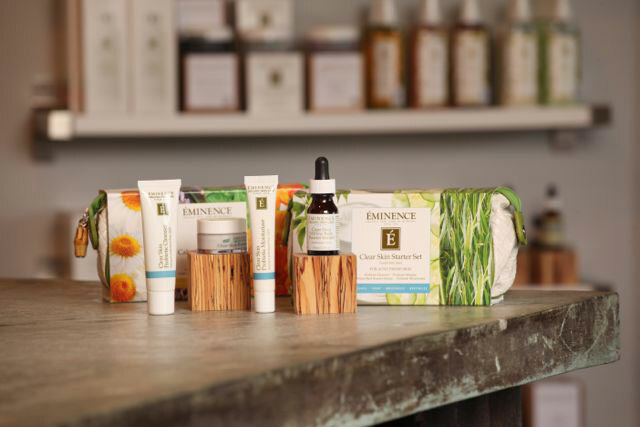 Éminence Organic Skin Care is the award-winning provider of the most effective skin care products in the natural & organic skin care industry – they are known worldwide for active products created using the highest quality ingredients. Éminence offers a wide range of clinically tested products that continue to achieve the most effective results for your skin. We have been voted "Favorite Skin Care Line" by skin care professionals and are #1 for skin care results in the natural & organic spa industry.